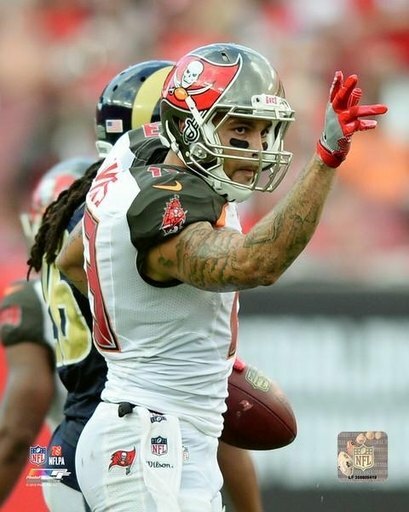 Description: Mike Evans 2016 Action was reproduced on Premium Heavy Stock Paper which captures all of the vivid colors and details of the original. The overall paper size is 8.00 x 10.00 inches and the image size is 8.00 x 10.00 inches. This print is ready for hanging or framing. Brand New and Rolled and ready for display or framing. Print Title: Mike Evans 2016 Action. Paper Size: 8.00 x 10.00 inches. Product Type: Photo Print. Mike Evans 2016 Action was reproduced on Premium Heavy Stock Paper which captures all of the vivid colors and details of the original. The overall paper size is 8.00 x 10.00 inches and the image size is 8.00 x 10.00 inches. This print is ready for hanging or framing. Brand New and Rolled and ready for display or framing. Print Title: Mike Evans 2016 Action. Paper Size: 8.00 x 10.00 inches. Product Type: Photo Print. Enter the details of an online store that carries EAN 7433250920904 below. The store's URL must go to a valid product page that has the product displayed with pricing information.